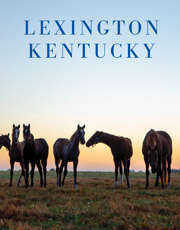 Lexington is the iconic center for all things distinctly Kentucky. The city's land and lifestyle have gained global recognition and transformed the Southern experience. Here in the Horse Capital of the World, we honor our traditions, but we have evolved into an eclectic destination that offers something new at every turn. Plan a visit and discover why we like to say "Southern Starts Here.